Civilizations have once again emerged from the ruins of Pralaya, and with a new dawn arrive new ambitions. Ordained by fate, several legions of a ruthless clan have been reported to be seen marching into the boundaries of Bharata. The origins of the Hayacree are unknown, yet their intent is evident: to create a new world order. The tides of war will bring forth valiant men and women of great fortitude and a divine force to unite them all against the strong will of the enemy. While the matters of kings and kingdoms are to be shouldered by a young prince of Wagharr, a supernatural alliance of Mahayogis and Suparnas will need to travel beyond the realm of man to discover the architect behind the Hayacree invasion. The hunt for the real enemy will lead them to an expanse invisible to the human eye. In its depth lies an evil waiting to be discovered, waiting to rise. Warjuna grips your attention from the word go and is successful in keeping you hooked till the end. Arjuna – prince of Wagharr finds himself injured far away from his homeland in a vaidya’s abode ,even though he is pretty sure he should have been in himavan with his people waiting for further orders from his king instead. Things make no sense to Arjuna as his memory plays with his emotions. Having discharged from the vaidya, Arjuna decides to head back home when the vaidya requests a tiny delay in his journey and asks Arjuna to visit Ashmaka and deliver a message to the king. This little detour creates major setbacks to Arjuna’s plans to return home. Arjuna finds himself fighting against Hayacree to save Ashmaka. while Arjuna is fighting battles , Krishna and others are gearing up for the impending war, the Hayacree are invading Bharata and they need to be stopped. The first 50 pages of any book gives you a fair idea of whether you will enjoy it or not. For me Warjuna was definitely a good read. I took my sweet time to read this book in two stretched out sittings rather than several intervals of reading. Warjuna perfectly sets the stage for the Mrithasu rising series. What i liked about this book is that every chapter is important, you remove one chapter and there will be something missing like a jigsaw puzzle . I’ll definitely wait for the second book from the series to release soon. I would have loved to have a visual of Bharata in a form of a map in the book. This Review is for Author Krishnaraj, though the views mentioned are completely mine. These are some snippets from She Walks, She Leads which profiles twenty-four iconic women in modern India. These leaders tell their stories, up close and personal. Their relentless ambition to shatter the glass ceiling, their pursuit for excellence and the challenges that came their way – all of this is captured vividly in this exclusive anthology. Each chapter is based on extensive research and has never-seen-before photographs of these luminaries. The chapters are followed by interviews with their companions and close confidants who have seen them grow over the years. The women leaders profiled in the book come from different fields like banking, media, cinema, sports, fashion, philanthropy and industry. I am going to be frank, after reading the synopsis of this book I had developed a level of expectation which doubled after I read the first chapter based on Nita Ambani. Unfortunately, as I progressed chapter after chapter I realized this book lacks something that is the most important factor in inspiring people – struggle. I don’t know how the author filtered her list from hundreds to mere 24 personalities and on what basis, but majority of these personalities didn’t had to go through the initial struggle of haves and have not’s as they belonged to rich families. More than struggle, these personalities showcased strength which again is a huge motivating factor. Few personalities were given so little importance which made their story look rushed because of which the reader feels a sense of incompleteness. Instead of writing about 24 people if the author had focused on four people at a time and gave us a detailed account of their struggle and successes then maybe this book would have been the perfect book to seek inspiration from. Nevertheless, if you keep this point aside and read this book as a dedication to Indian women achievers then you wont be disappointed. 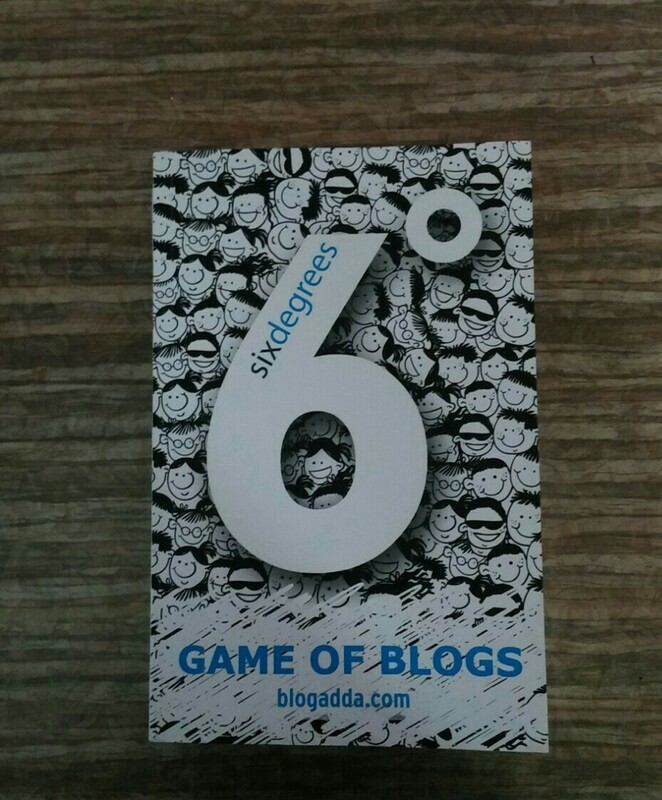 Idea behind the book is no doubt brilliant , I wish the execution part was brilliant too. THE AUTHOR SENT ME A FREE COPY IN EXCHANGE FOR A HONEST REVIEW. 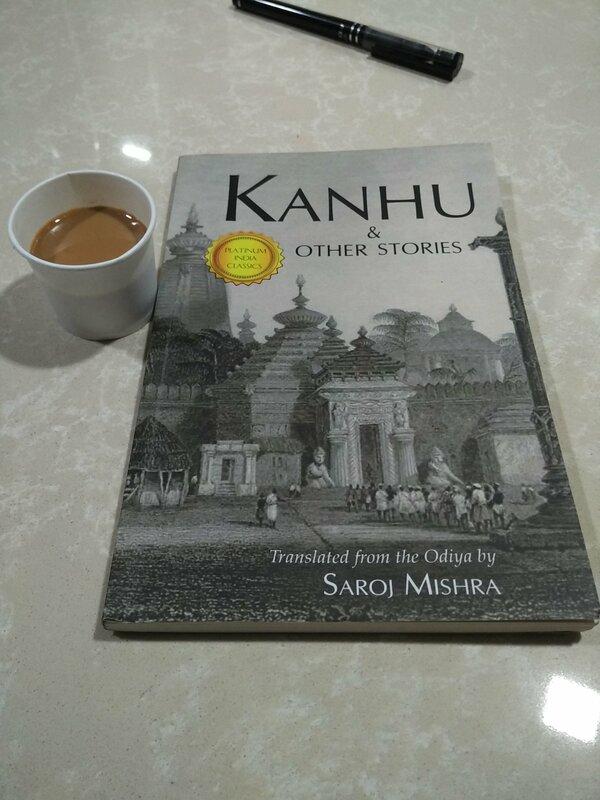 This book contains eleven short stories in Odiya translated into English. The original Authors are all well-known writers, some of them winners of the Kendriya Sahitya Akademi awards and others honoured with several state-level awards. The stories in this anthology reflect the rich and divergent cultural heritage of Odisha and the current thinking in Odiya society-varying from focus on the plight of the underprivileged to the struggles of different sections of society in dealing with moral dilemmas. The stories have been selected carefully to promote the Odiya language, with its colourful idiom, the heritage and the social ambience of Odisha, to a wider audience so that the readers can learn about its rich literature and the glorious history of Odisha. I love reading short stories, no matter what genre they are from. Day by day my schedule keeps getting busier and I am not finding as much time to read as I would love to and thus short stories are perfect solution to my problem. I literally carried this book for a week and read wherever I could read, be it during train journeys or while taking a break from work. Now coming to the book, the stories are simple and earthly. I liked Kanhu’s home and Inauguration of the Electric Crematorium. But all other stories were okay. I wanted to read more about Odisha but unfortunately that didn’t happen. There are 10 stories even though the back cover mentions 11, few stories also have typing errors, thus making this book poor on editing and proof reading front. Writing a short story is not a easy task. Not just one has to fit a story in limited word count but also make it look appeasing. A good short is one that touches your heart. A better one compels you to imagine scenarios of what ifs. Kanhu and other stories fails to create that touch and that kind of impact. The Puyickal family, a reputed Mallu clan based in Mumbai, is going through a huge crisis. One of their younger scions, Neeraja wants to marry her Punjabi boyfriend. Her father wants to hear none of it. Her aunts would rather die than allow it. Her uncles don’t care a damn about it. Arjun never wanted to have anything to do with his distant and more successful cousin; Neeraja. However, her decision to marry a non-Mallu, an unheard-of scandal in her family, changes his life forever. Forced to take part in the family ‘discussions’ by his mother, he tries to devise ways to get out of this mess, when he finds out Neeraja’s beau’s sister is his college crush. Desiring to win her back, he realizes it can only happen if Neeraja gets married to her boyfriend. With no option left, he forms an uneasy alliance with his hateful cousin, as they work in tandem to emotionally manipulate the elders into making this marriage happen… until one day, a dark secret gets revealed that threatens to unravel all their efforts. Family’s favourite Neeraja creates chaos in the family when everyone finds out about her relationship with a Punjabi boy- sahil. She is adamant to marry a man of her choice and her family is strictly against the inter marriage proposal, according to them inter-caste love marriages are never successful . Arjun gets caught in all this family drama when he realises his true love Snehal wants the same thing as Neeraja. Neeraja, Snehal with the help of Arjun gang up against the elders of the family. They persuade elders one by one and soon Neeraja ‘s wedding is fixed. Few days prior to engagement arjun finds a bitter truth about Sahil and Neeraja’ s relationship. Will sahil and Neeraja finally marry? Will arjun and Snehal find their Bliss? Were elders of Puyickal family right about inter caste marriages? 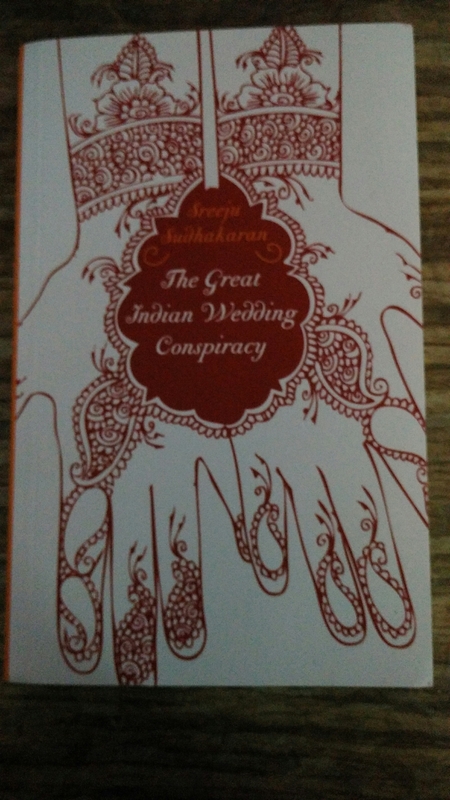 This book reminded me why i stopped watching indian tv soaps, just like our tv shows this book served a uncooked story with a stretched out beginning and middle part while the ending seemed rushed and unnecessary. The Twist seemed forced just to portray true love’s sacrifice. I didn’t liked the way few characters were written , I had major dissatisfaction towards Sahil’s character. To be frank I had to force myself to finish this book. Unfortunately, this book disappointed me in many ways which I cannot mention without spoiling the climax. NOTE : THIS REVIEW IS FOR LEADSTART PUBLISHING , THOUGH THE VIEWS STATED ARE COMPLETELY MINE.